Michael & Levan and Stiven Rivic make a welcome return to ICONYC with their brand new single 'Inborn Voices'. Their last outing back in March of 2018 was received to high acclaim - with big support from the likes of Nick Warren, Hernan Cattaneo, Guy J, Sasha, Cid Inc., Guy Mantzur and many more at the time. With their long-awaited return to ICONYC, the trio deliver a slice of early spring vibes titled 'Inborn Voices'. The track kicks things off nicely with its melancholic moodiness shining through as we meander effortlessly through club inspired melodies, while the sultry chords sit wonderfully on top adding an extra layer of depth. Barry Jamieson & Charlie May, who need no introduction created a rework full of tension from the word go, as the atmospheric vibe subtly keeps you moving with warm tinkling sounds, a smooth edge and some nicely effected sounding pieces. We basically have the formula for a bit of a monumental outing. The sparseness is the key here, as their restrained gem works its magic while it plays away, creating a warm glow, creating an air of sophistication. "Essential stuff!" Next up we have Martin Roth, the German maestro known for his polished sound, keeps the ethereal theme of the original alive, as the pulsating bass powers along, before its drum fills and general warmth all combine to do the talking. Like something from yesteryear, yet sounding fresh – His transcendent touch up takes the energy levels up a notch, but increases the melancholy with stripped back and lucid elements at the same time, before the luscious pads grace the rework changing the vibe and creating a blanket of warmth that wraps around the effected groove. Last but not least we have a remix courtesy of label resident alumni Las Von, who delivers a trademark deep progressive mix with infectious chords, intense drums and smooth breakdown. It's all about the groove, cool house vibes and the driving beats that are working their magic around Las Von's wonderfully arranged keys that create an irresistible rhythm while clever chords take the mind on a trip. 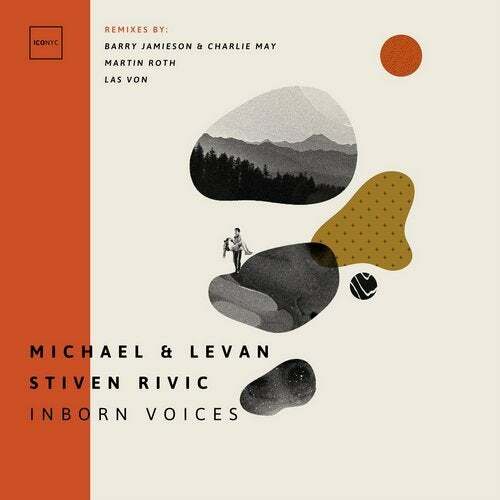 With 'Inborn Voices' Michael & Levan and Stiven Rivic really show that there're no boundaries, as this beautiful melodic gem guides you to a full-on club laden, arpy melodic hug of a release that will cause many smile induced moments! 'Inborn Voices' sees a worldwide release on April 1st, 2019 via every well-known digital content provider. Not to be missed.